Our managed dedicated servers are a completely turnkey, relatively maintenance free dedicated server solution. We provide all of the necessary hardware, software, and ongoing maintenance to keep your server running as smoothly as possible. Additionally, we also monitor your server and the various software packages running on it on a 24/7 basis. 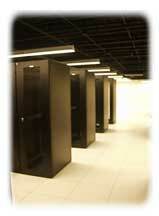 Hardware: We provide all hardware and are responsible for maintaining the hardware. Should any piece of hardware fail, we replace it at no cost to you. Software: All of our servers come equipped with a completely secure version of Windows 2003. Your server will utilize IIS for Web and FTP servers, Microsoft’s DNS Server, and a shared version of iMail server for POP3 / IMAP4 / SMTP services. We are responsible for the initial configuration, ongoing maintenance, and we proactively will install any vendor patches, updates and security workarounds as they are released. We will also assist you and in troubleshooting any issue related to Windows 2003 or Helm. Security: Initially, we configure your server to be as secure as possible. Additionally, we also ensure that your server remains secure by installing any vendor security fixes as soon as they are released and by using Microsoft’s URLScan to detect and reject and malicious requests to IIS. All of our managed dedicated servers are placed behind our ICSA-certified hardware firewall for additional protection. Monitoring: We monitor the health of your server and the individual software components running on it (DNS Server, IIS, etc) every 60 seconds. When we detect a problem, technicians are emailed immediately and paged if the problem isn’t resolved within 8 minutes. Upon being notified, our technicians begin working immediately to fix the problem. We provide this level of service on a 24x7 basis, 365 days a year. Backup: All of your data files are backed up on a daily basis. Should you ever need us to restore a file, there’s no charge! Currently all files are backed up to a server that has a 3.2TB mirrored array for redundancy. Other Services: We also provide a number of additional managed services, including log file rotation and providing you with real-time data transfer information for your server. Additionally, we are always more than willing to provide you any advice you need! 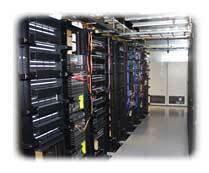 All of our high quality servers are housed in a fully redundant datacenter located in Denver, Colorado. Gigabit connection to Internap via XO fiber, with Internap's local Point of Presence (PNAP) less than a block away from the datacenter. Internap peers directly to 8 Tier 1 backbones in Denver and features proprietary i ntelligent routing technology to route traffic over the providers with the least latency and packet loss. Internap peers directly with UUNET, Sprint, Global Crossing, Cable & Wireless, Level(3), Verio, XO and AT&T in Denver.